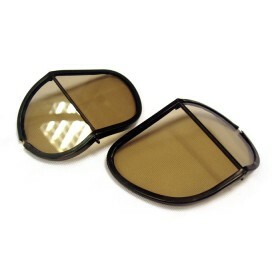 Split Polycarbonate Lenses fitted inside a Brass Channel which clips into easily into the frame of your Halcyon Goggles. The polycarbonate lenses have a scratch resistant coating, they are shatterproof and offer 99% UV protection. The split style is in keeping with the original goggles dating back to world war II, and give a great field of vision. The lenses are held inside a brass channel that slots inside the goggle frame and is then retained by attaching the headband clip. 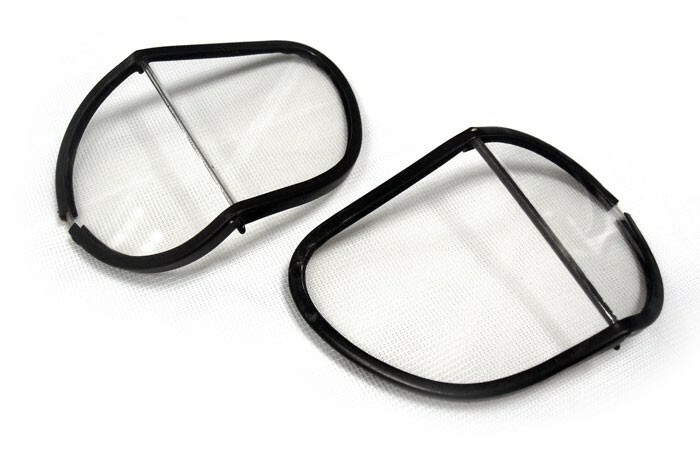 This allows you to quickly and easily replace the lenses.